There are a ton of reasons to go to FLYSAFE Las Vegas but here are the Top 3. 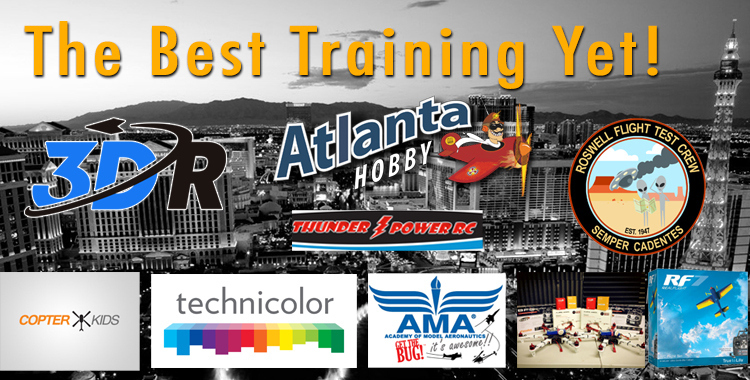 Come out to Las Vegas and see what FLYSAFE is all about! We got to do some very unique shooting on May 8th at the NFL Minnesota Vikings Draft Party held at the Minneapolis Convention center with over 4,000 passionate fans showing their purple pride! The event and video was produced by local agency EideCom Media and Events. 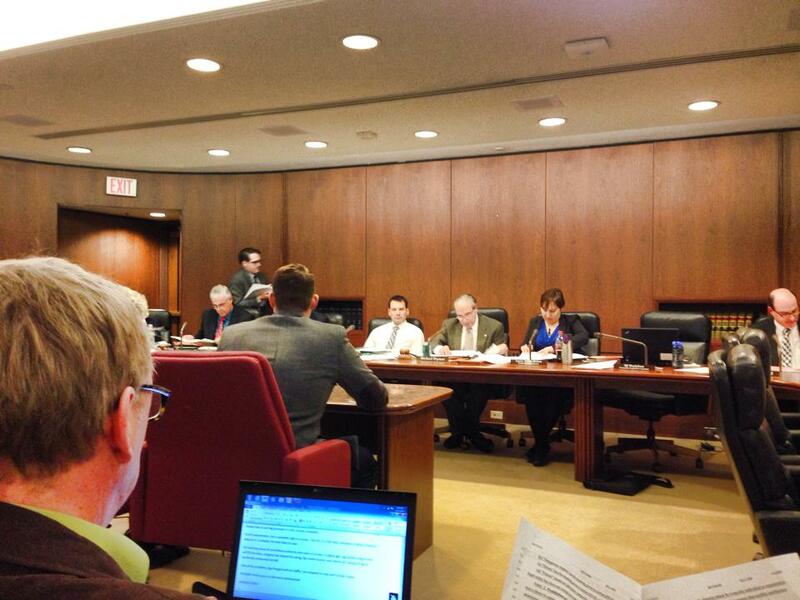 Today, the founders of FLYSAFE attended and testified at a Minnesota House hearing on a proposed drone ban led by Rep. Phyllis Kahn, a Minneapolis DFLer. Short Description: Law enforcement agency prohibited from using drones to gather evidence or other information, drone use by persons prohibited, and federal agency drone use within the boundaries of Minnesota prohibited. Charles Eide is pictured below giving testimony in opposition to the proposed bill that would make taking any photos using unmanned aerial vehicles without written consent from all parties a felony. Several public testimonies were heard along with input from most of the committee members who mainly had questions about the complexity of the issue. FLYSAFE’s official stance on the issue revolves around protecting the commercial application of UAV (Drone) technology in the marketplace while maintaining personal privacy. This evolving technology has a wide array of benefits to offer along with a sizable economic impact for positive local job growth. The hearing for this bill ended with the Chairman and Committee deciding to “lay over” the bill, meaning it is being delayed for further discussion and needs clarification. This is a good step and small victory for FLYSAFE as it continues to protect and guide the defining legal and commercial uses of unmanned aerial vehicles, drones and every other term given to this technology. Stay tuned for more information as this continues to develop. Here is a breaking story regarding the ruling of a federal judge on the legality of the commercial use of drones, unmanned aerial vehicles and other unmanned aerial systems. This decision means a lot for the current FLYSAFE graduates, positioning them to take advantage of the new opportunity immediately. Additionally, it shows a great deal of promise for future FLYSAFE certified graduates, the timing couldn’t be better! For the moment, commercial drones are, unequivocally, legal in American skies after a federal judge has ruled that the Federal Aviation Administration has not made any legally binding rules against it. The judge dismissed the FAA’s case against Raphael Pirker, the first (and only) person the agency has tried to fine for flying a drone commercially. The agency has repeatedly claimed that flying a drone for commercial purposes is illegal and has said that there’s “no gray area” in the law. The latter now appears to be true, but it hasn’t gone the way the FAA would have hoped. Patrick Geraghty, a judge with the National Transportation Safety Board, ruled that there are no laws against flying a drone commercially. The FAA attempted to fine the 29-year-old Pirker $10,000 after he used a drone to film a commercial at the University of Virginia. Pirker and his lawyer, Brendan Schulman, fought the case, saying that the FAA has never regulated model aircraft and that it’s entire basis for making them “illegal,” a 2007 policy notice, was not legally binding. The FAA has never undertaken the required public notice necessary to make an official regulation. What this means, at least for now, is that you can go fly your drone and charge whatever the hell you want to do it. Beer delivery drones are legal, and so is everything else. It also means that all those companies that have been harassed by the FAA have, at least for the moment, nothing to worry about. The FAA could potentially try to establish an emergency rule, but it’s unclear how long that will take or whether they’ll do it. The FAA did not immediately respond to request for comment. Its a funny thing. When you tell people “We do aerial cinematography using Radio Controlled Helicopters and Hex Copters” they usually get really excited. When I think back to when we first started working in the film business and then got our first RC Heli Photoship, I WAS SO EXCITED. Most people don’t realize that radio controlled cinematography is just as complicated,if not more complicated than full scale aerials. What makes RC so much better is the shots we are able to get. We can put cameras in places that real helicopters can’t go and lengths that Jibs wish they could reach. With all of the incredible, small cameras that capture HD cinematic quality video and the ability to attach them to high speed, extremely precise gimbals, there is no shot we can not accomplish. Radio Controlled Cinematography seems to be that missing link between traditional camera work on the ground, to jibs and cranes, to high level aerials from full scale helicopters and airplanes. RC Helicopters, Hex Copters, and Quadcopters get the shots that were never available before. Be prepared to do your research. The skill of actually flying RC Helicopters and other RC cameraships is a skill in itself. This is not just pickup and fly. I have been flying RC for 15 years, and decided to hire a professional pilot due to the fact that it is a HIGHLY developed skill. Flying RC helicopters (especially ones that have the muscle to carry cameras) can be dangerous in the wrong hands. The larger photoships can have a weight that can exceed 15lbs. and can have rotor speeds in excess of 1,900 RPM. This is very dangerous and should not be taken lightly. RC and Cinematography: The Fusion of 2 unique and very different talents? Just Because you are a great DP, of Cinematographer or photographer, does not mean you are going to be good at flying Radio Controlled Photoships. Just Because you are a great RC Pilot, does not mean you should try to go out and sell yourself as a talented cinematographer, aerial specialist, or something that you have just landed in because you wanted to put a GoPro on your RC toy. They are both skills that need to be independently refined. I recommend letting the experts do their job. If you are going to go into business, make sure that you have the right people (experts), doing what they do best. If you are a pilot, find a film guy. If you are a film guy, hire a pilot. Do it any other way and you will spend too much time, and money driving yourself crazy. This is a highly refined skill. Do not go out and charge a 100 bucks to shoot aerials. Aerials are cool. Just because you have an RC toy and a camera to put on it, does not mean you should start telling everyone you know that you are now an aerial cinematographer. If you are a pro, have SAFE gear, the right people, and legitimate rates for your time, and equipment. Keep flying, and Keep it in the air! As you may or may not know, Fly Boys is a brand owned by EideCom Media in Minneapolis, MN. Over the past few years EideCom has developed some incredible clients. One of them is the Team Ortho Foundation. The Team Ortho Foundation is a Minnesota Based non profit company that puts on the best races in the Twin Cities. They have grown so much over the past couple years that they are now putting on races in Chicago, and soon to be other locations around the US. EideCom started was initially hired by Team Ortho to shoot some of its races. As Team Ortho grew, so did EideCom. Fly Boys is a new brand owned by EideCom that was sparked from the idea of getting great aerial footage to supplement the great production we were already doing on the ground. This past weekend we shot our first race with Team Ortho using the Fly Boys Heli. After weeks and weeks of preparing the heli for shooting the race, we finally did it. The Race was Go Commando. Its an adventure race similar to the Tough Mudder race, but in our opinion, much better. Our Pilot Rob Cherry along with our ground crew showed up early in the morning and got setup to do some killer aerial shooting. The EideCom Crew caught all of the action on the ground while the photoship got the action from the sky. Is was an amazing day packed with tons of action. Stay tuned to see the footage.